One of the reasons I cut my hair last year April was because my edges had gone bald and it was pretty bad. 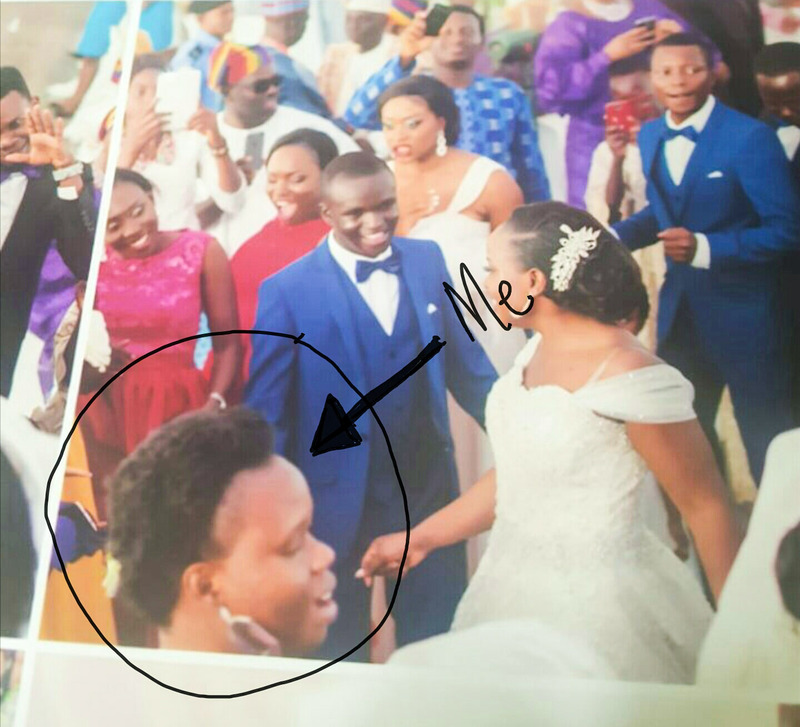 My picture was captured at a wedding and my bald edges were on display. I'm so embarrassed that that shot is going to be in their wedding album forever. Anyway something positive came out of it, I decided to take my hair care seriously. The plan was simple: Take care of my edges and it will grow and become fuller. 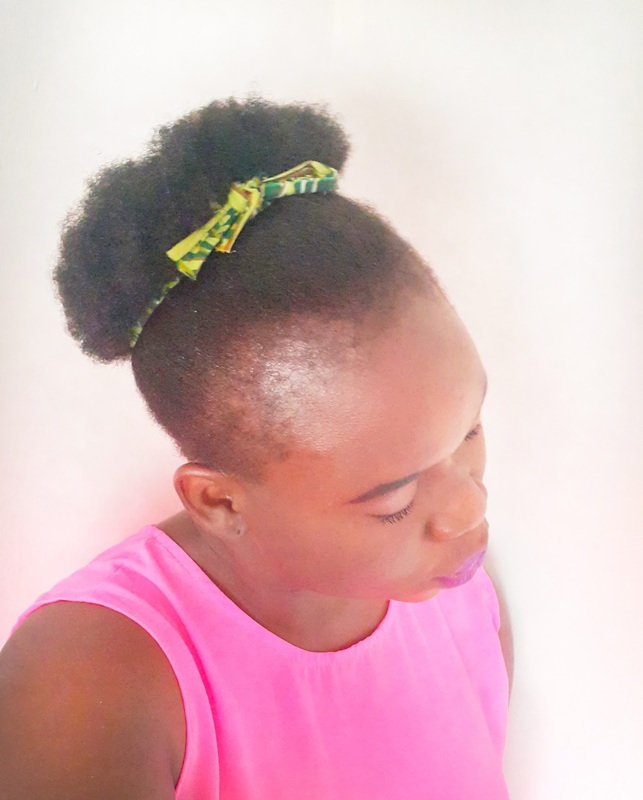 I watched and read so many hair videos and blogs that recommend products and hair routines that stimulate hair follicles to grow healthy hair and I ensured that I did what was recommended. I'll confess that, in the beginning, I had unrealistic expectations about growing my edges. My unrealistic expectation had more to do with the speed for growth. I remember telling a colleague that I expect my edges become fuller in 6 months and she gave me the best advice. She said 'Don't give it 6 months because if it doesn't meet your expectation by the 6th month, you're likely to stop taking care of your hair. Just be committed to taking care of your hair and it will grow'. It is over a year since i cut my hair and my edges aren't as full as I expected. So my expectation was unrealistic because before my edges went bald, they didn't have a lot of hair. So many women in my family have little or no hair on their edges even though they have full head of hair. One highly recommended product to help regrow edges is CASTOR OIL. 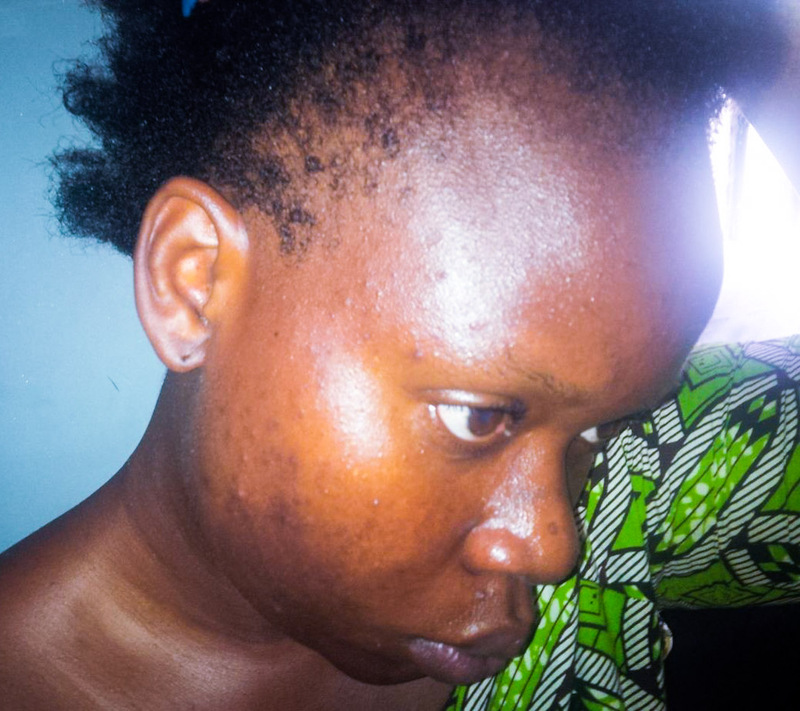 Every woman with thin or bald edges is advised to rub a small quantity on the affected area once or twice daily. When I did my big chop in 2016, I applied castor oil to my edges every morning and evening. I would put just a little on my fingers and massage into my edges. Currently, I just apply it every morning. I also make sure that castor oil is in the mix of oils I use to pre-poo or for hot oil treatment. People make it sound like it's potent fertilizer or a magic hair growth portion that once you rub it in, hair begins to sprout like weeds. I'm not here to say castor oil doesn't work especially since I'm currently on my third (3rd) bottle of castor oil in the space of one (1) year but from personal experience, it's not a potent magical hair growth fertilizer portion that made my edges sprout like weeds. So if you have an unrealistic expectation of castor oil being a magical edges sprouting portion, you may be disappointed. 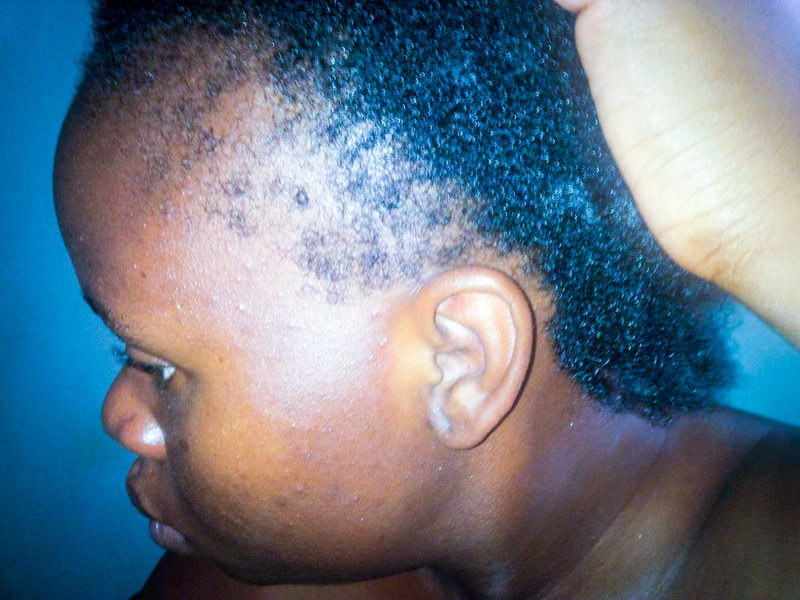 Patience: Be patient with your edges, they will grow so far the hair follicles on your edges are still alive. Diligence: Be ready to give a 100% work to caring for your edges. I ensure I apply castor oil every morning on my edges and then sometimes I alternate between castor oil and my DIY Whipped Shea Butter . I cover my edges with satin scarf or lay my head on a satin pillowcase. It seems like a lot of work for hair but I keep reminding myself of my goals plus I get to reap the benefits of fuller edges and long and healthy hair. Evaluation: Take pictures to help you evaluate if what you're doing is working to regrow your edges. If you're consistent with applications and routine, you should see results. If you don't see results, then maybe you should visit a Trichologist (hair and scalp specialist). 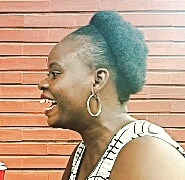 Don't stress your edges: I hardly ever let a hairstylist touch my edges. I will swat their fingers away if I have too. Don't braid or fix weave on your edges. Just leave it alone. Also try not to lay your edges too much, some gels or edge controls are known to make your edges dry and brittle. Use essential oil: I use Rosemary, Tea-tree and Ginger essential oil. I read that they promote hair growth. I use about 5-10 drops in a carrier oil (castor/coconut/olive oil) and use either for prepoo or hot oil treatment. You can read more about essential oils. It is advised to mix essential oils (essential oils are potent) with carrier oils to dilute them so as to prevent chemical burn or irritation. You need just a few drops. I have never used it but I'll just mention it. Hair Supplements. I've watched video where bloggers talk about the advantage/disadvantage of hair supplements. I have never used a hair supplement so I can't share any experience from it but you can Google hair supplements and find out the benefits and side effects from using them. Share in the comments what your unrealistic expectations were toward growing your hair and the lessons you've learnt. Great write up tola. I have taken a clue from this and will RE evalulae my hair regimen again. Started my hair journey 2013 , I did not do much just castor oil ( which made my hair thicker and fuller nothing about hair growth though🤔). I used Alma oil I think does not smell great but works 💯. Inbetween 2015-2016 I started dying my hair and I did not care for it like I should. At the moment I have a mixture of coconut, sweet almond, avocado oil and essential oils. 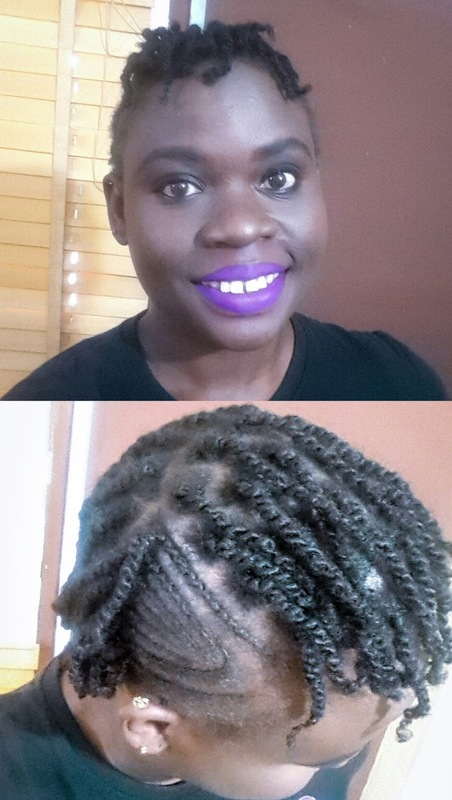 I do more of protective styles but I realised that whenever I leave my hair out it grows faster . In conclusion, I think we should know what works for our hair and stick to it. Babe, I love love your hair. It's thick with full edges. So just keep caring for it. You should hook me up with this oil mix o. I hear great thing about sweet almond oil and avocado oil. I'm sorry, I chuckled a bit. It was the circle and the "Me" part that me laugh. I'm also in the same boat (except that I haven't cut my hair). My front hair is non existent and my case is worse cos I was born this way! lol. It used to bother me at first when people asked me what 'chop'd my hair'. 'Did you do Ghana weaving?' and so on... Ah, now I have just accepted it the way it is. I'm going to try some hair care products though and (patiently) see if it makes any difference. Thanks for dropping a comment. You should try using castor oil and some essential oils to massage your edges. That should help stimulate growth. As in wrote in the post, you'll have to be patient with its progress. Let me know if you need product recommendation. Cheers!! Hey Deola, Thank you for dropping a comment. If you can't get castor oil and essential oils now, try using shea butter and coconut oil now. Shea butter (ori) is cheap here in Nigeria, mix it with coconut oil and massage it on your edges. Also ensure you leave your edges alone. Don't plait or braid it. Just don't!!! I hope you check out other articles on my blog. Cheers!